Can Hartley follow up his strong display in Austin with another charge to the points? Brendon Hartley feels this weekend’s Mexican Grand Prix could present a “big opportunity” to Toro Rosso as the Formula 1 team bids to cement itself in P8 in the constructors’ championship. Hartley scored his best result in F1 to date with a ninth-place finish in Austin last weekend at the United States Grand Prix, rising from the back of the grid after being hit with an engine penalty on Saturday. The Autodromo Hermanos Rodriguez in Mexico City sits at high altitude, meaning teams run a maximum downforce aerodynamic package despite the layout featuring a number of long straights. 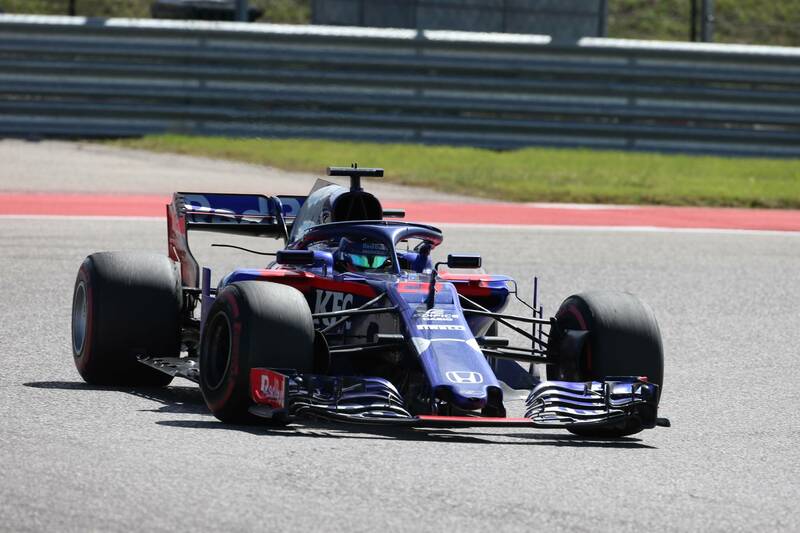 Toro Rosso has tended to run well on high downforce tracks such as Monaco and Hungary so far this year, giving Hartley hopes of a strong showing. “I think there’s a good opportunity for us this weekend. There are a lot of variables here that are not existing on other tracks, mainly to do with the altitude,” Hartley said. “Even if all the Toro Rosso engineers get their numbers right and they’re well prepared, I think it can be a good track for us. I think the nature of the circuit as well with a couple of really big stops, a few low-speed corners, very low drag and very low priority on efficiency and power-limited, I think there’s potential for us this weekend. Toro Rosso currently sits eighth in the constructors' championship, four points clear of Sauber with three races remaining this year. Hartley will run with the updated floor and front wing for the Toro Rosso STR13 car for the first time on practice on Friday after teammate Pierre Gasly debuted the new parts in Austin. Gasly removed the parts from his car after final practice, but Hartley is hopeful of getting more performance out of the updated package. “Definitely there’s a lot for the engineers to look at data-wise. I think Pierre wasn’t happy with the balance in FP3 when he ran the aero, so I think that’s partly why they removed it,” Hartley said. “I think it’s going to be interesting to see how it performs tomorrow, if we can get any more performance out of it. And then in terms of the rest of the weekend, I think there’s not a clear plan yet. It really depends how tomorrow goes.